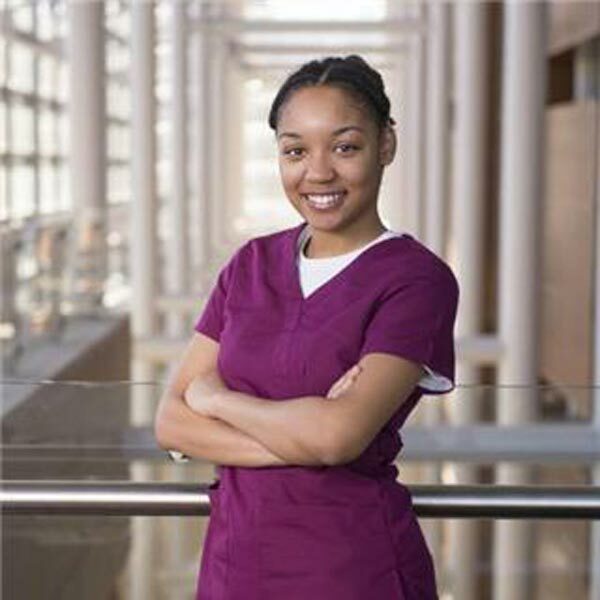 At the age of 19, Wayne State biochemistry student Riane Dixon was creating new strains of bacteria in the lab (just for fun) between the courses required for her minor in Chinese. We sat down with Dixon to discuss her WSU experience. What drew you to study the sciences? Science speaks to me. It's always been my language. I love the way all of the physical sciences and math intertwine and connect. I knew I wanted to study chemistry, but when I got to college I realized it wasn't enough and that I needed to challenge myself a bit more. I ended up majoring in biochemistry with a minor in Chinese. Tell us about your undergraduate research. My undergraduate research was actually conducted in the WSU School of Medicine's Department of Immunology and Microbiology. I assisted graduate students with their research but also spearheaded my own project analyzing strains of Vibrio cholerae, the pathogen that causes severe diarrhea. My goal was to see if quorum sensing — the way bacteria communicate with each other — was related to the toxicity of pathogens inside the intestines. While in the lab, I actually created a new strain of Vibrio cholerae by altering its DNA. Now that I'm in more advanced chemistry labs, I realize how that early research really gave me a tremendous head start. What's it like to be part of the WSU American Chemical Society Student Affiliates? The ACS is amazing because it gives you such a variety of experiences. We’ve done tours in the conservation lab at the Detroit Institute of Arts, where we saw how they use chemistry techniques to preserve art and the ways in which they test various artifacts to validate age and authenticity. Being in the ACS has strengthened my networking and professional skills as well. From doing bubble experiments with kids at Zoo Boo to working with professionals in the industry, we're always interacting with people and seeing the bigger impact of chemistry. The community events are really great — getting little kids excited about chemistry has been totally rewarding. What has your experience with WSU's faculty been like? I love Wayne State's chemistry program, but the faculty members are what truly stands out. It's evident that my professors honestly want to see me succeed. They make themselves available to each and every student and are training us for a career, not just a degree. I have so many great professors, but I would point out Dr. Barbara Munk as one of the standouts. Talking to Dr. Munk makes me feel like I can make it through this program when I'm not feeling so confident. She lets me know that it's OK to mess up and just gives me so much hope. When I first started at Wayne State, my goal was to go straight to medical school. My more advanced chemistry classes have inspired me to possibly go into biochemistry research and Wayne State's physician assistant program. It would be amazing to test and design new drugs. I ultimately want to use my chemistry degree to help people and save lives.